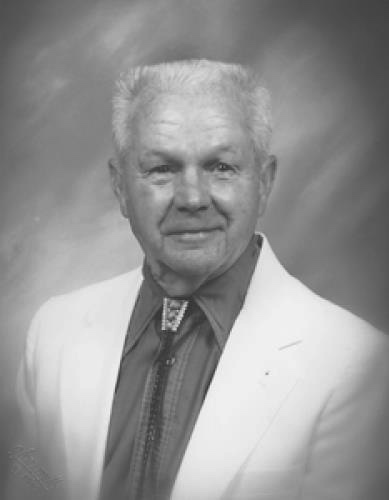 Douglass O. Krause went to be with the Lord on Saturday, February 9, 2019. Doug was born December 14, 1922 to Otto and Freda Krause in Dayton, Ohio. He was a resident of Oroville for 70 years. Mr. Krause along with his twin brother, Howard, enlisted in the U.S. Army Infantry at an early age. They both volunteered into the U.S. Air Corps. Howard trained as a radio operator gunner and Douglass trained as a ball turret gunner. They both completed their combat tours in the ETO flying out of England. Mr. Krause went on to serve with the 1st Allied Airborne Division (Gliders), participated in operations: Overlord, Market-Garden, the Bulge and the final drop across the Rhine and earning five battle stars along with other decorations. During World War II he met and married his wife of 53 years, Marjorie (she passed away in 1997). Upon completing his service in 1948 he settled in Oroville and was employed in the plumbing, sheet metal and lumber trades. He worked for Thode Lumber for many years and last worked for Better Deal Exchange. He was a life member of the DAV, VFW and 71 year member of the Oroville Masonic Lodge No. 103 where he served as their secretary for many years. He was also a member of Franklin Chapter No. 20, Royal Arch Masons, Past Patron of Amapola Chapter 119 and Order of the Eastern Star. He was a 50 year member of the Wyandotte Grange. He enjoyed gardening and fishing. He is survived by his three children: Mary Ann Bainbridge-Krause, Michael Krause and Joel Krause; his three grand-children: Shane Krause, Stephanie Basinger and Heather Krause; and three great grandchildren. In honor of a life well lived, his friends and family will hold a celebration of life on Saturday, April 27, 2019, at the Oroville Masonic Lodge No. 103, 1462 Myers Street, Oroville, CA at 1:00 PM.